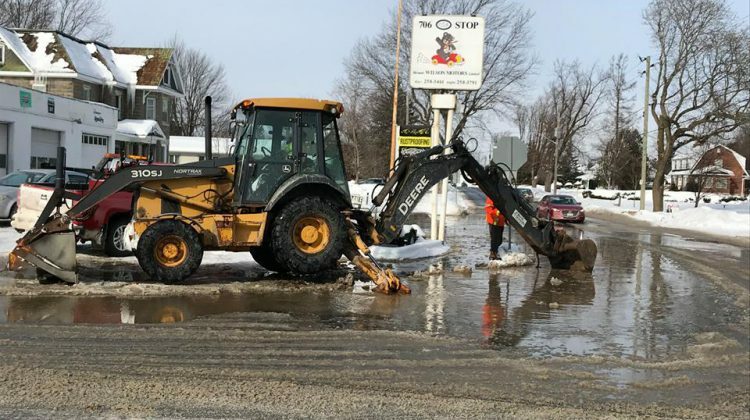 Pictured, a water main break at Concession and Prescott flooded the street last week. Photo: Jennifer Westendorp-Juice FM. 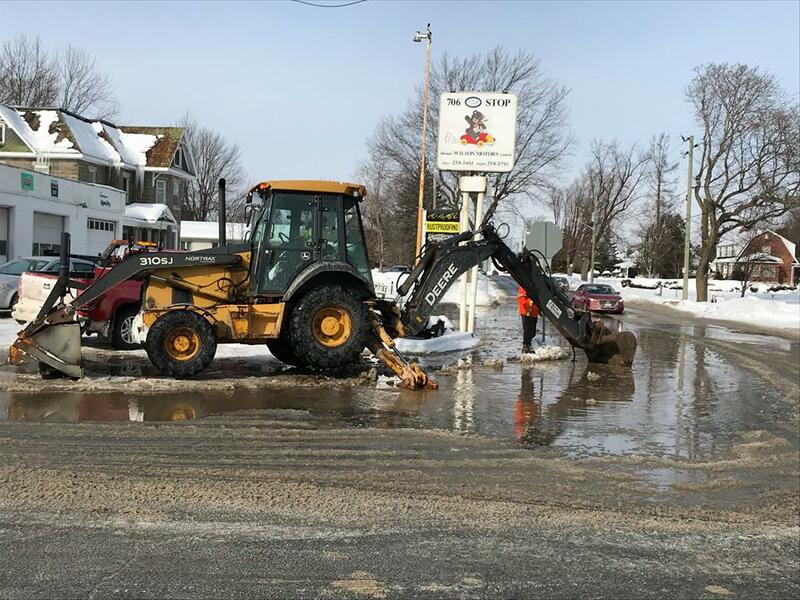 Kemptville has experienced four water main breaks since January 23. The first happened on Prescott, followed by a break right across the street on Concession seven days later. The third occurred over the weekend on Victoria and yesterday there was a break on Joseph. Public Works Director Karen Dunlop says it’s a high number in a short amount of time. She says there was a series of water main breaks a few years ago, but never this many so close together. Cast iron pipes dating back to the ‘60s prone to circumferential cracks are part of the problem, according to Dunlop. She says the freeze-thaw cycle brought on by extreme temperature swings causes weak points in the pipe to pop. Dunlop explained when a water main breaks, people will experience low water pressure because positive pressure is maintained to keep dirt out of the pipe. The water main has been replaced on Prescott (from bridge to Van Buren), Clothier, Jack, Asa, Parkinson and Hagan. The water main south of Kemptville Creek is older than the north side. The cost of replacing the pipe is about $1 million per street. Dunlop says you have to dig everything up, replace the main, sewer, storm pipes and typically replace the sidewalk and road from the sub-base up. She says it will take at least 20 years to replace all the old pipe in Kemptville.